This is one of my all time favorites, my Mum used to make it and it was eaten in minutes! 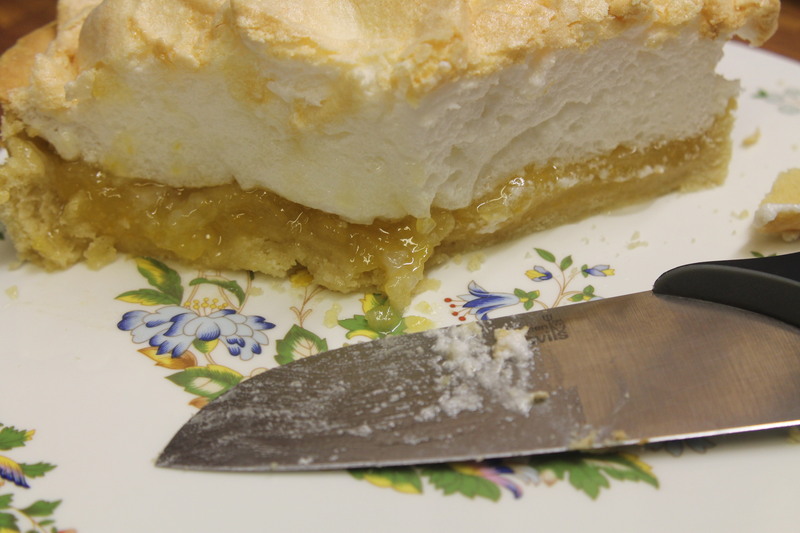 There is a good contrast between the tangy lemon and the sweet meringue if you use a large lemon. Start by rubbing the butter into the flour, adding the sugar and mixing well with a little cold water. Roll out the pastry and use to line a 7 inch flan case then bake blind for 10 minutes at 190 C, 375 F or gas mark 5. Reduce the heat to 150 C, 300 F or gas mark 2 when the case is done. Blend the cornflour with a little cold water. Meanwhile place egg yolks, sugar, lemon juice and the grated rind of the lemon into a saucepan with th e boiling water and mix well. Pour this onto the cornflour and return to the pan. Bring to the boil, the mixture will thicken and then pour this mixture into the flan case. Whisk briskly the egg whites until stiff and then gradually beat in the sugar. 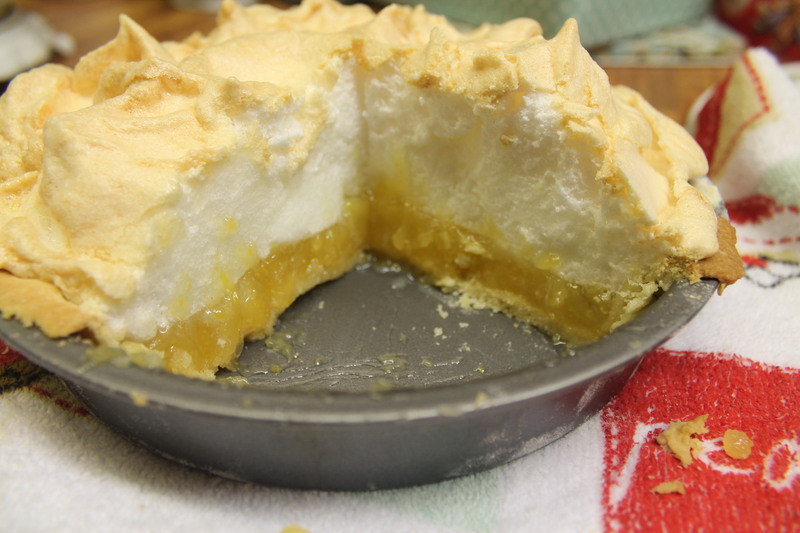 Spread this over the lemon mixture and seal the edges. Bake for about 20 minutes until crisp and golden brown on top. Allow to cool in the flan tin before attempting to cut a slice! Serve immediately with black tea. Delicious!